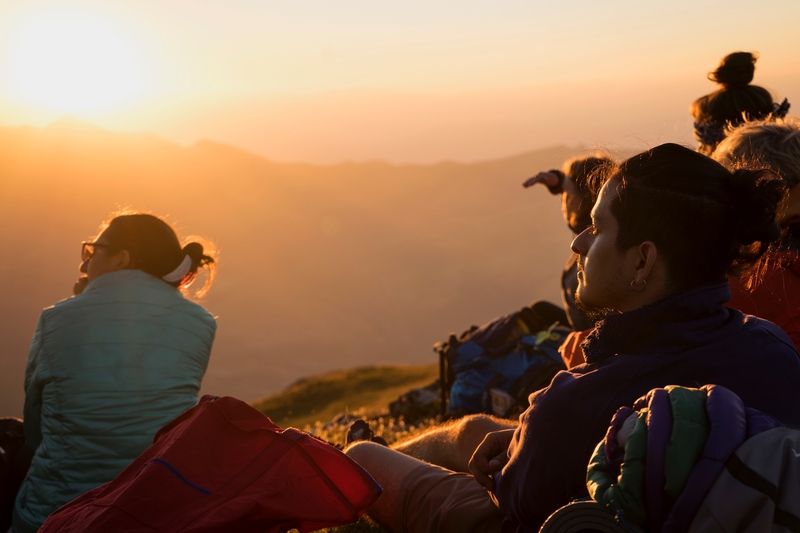 Leyla Tarahomi from Italy shares her thoughts about what made her strong impression for the three weeks spent in Brezovica, Kosovo. One of the lessons I will keep in mind after this project is that you can’t ever take something for granted. Here in Kosovo in particular, it’s people’s behaviour and attitude towards nature that cannot be assumed. 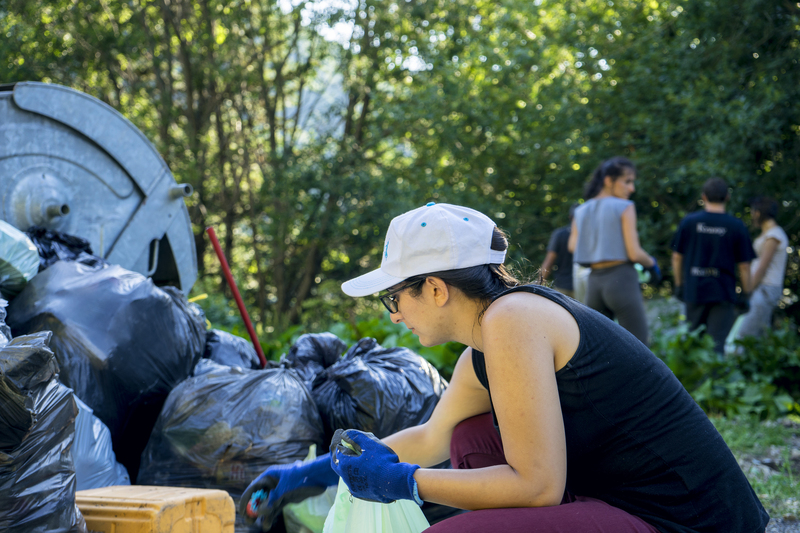 On the 5th of August, our first week in Sharr mountain, we picked up a huge amount of trash close to our accommodation in Brezovica ski resort, that was piling up next to the road. The trash issue is very widespread here, however the urgency and magnitude of this problem seems to give way to other social challenges for the people living in Kosovo. 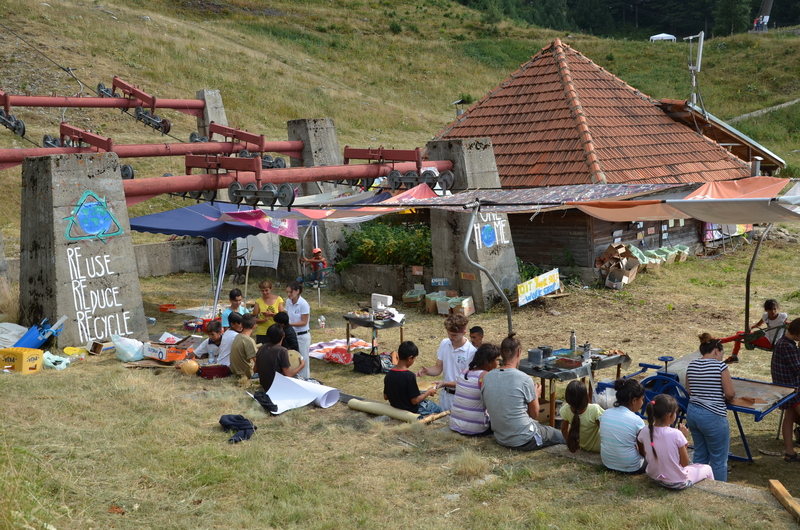 Our cleaning group split in two, but soon re-united to work faster: we collected many bags of garbage and separated some for the “recycling art” workshop that we did during BREfest to inspire children and adults to think about their own impact on environment. The next day, on the way for Prizren, there were a lot of happy families enjoying a balmy Sunday picnic on the grass. When we came back, the space they previously occupied was substituted by scattered piles of plastic bottles and bags. It’s not that I believe people here don’t care about the environment, even if it seems that is the case. For instance it feels like whoever comes here for just a day-worth of picnic, doesn’t see the mountain and the whole nature as their home. In some parts of my country, Italy, we have problems with trash too, and this is why I can partly understand the situation here. And I strongly believe that this and other environmental challenges in Kosovo could and should be turned into drivers for actions led by people with no regard of ethnicity, religion, gender or age. During BREfest I got to know some dedicated volunteers and I hope that more youngsters will be committing themselves to this goal. 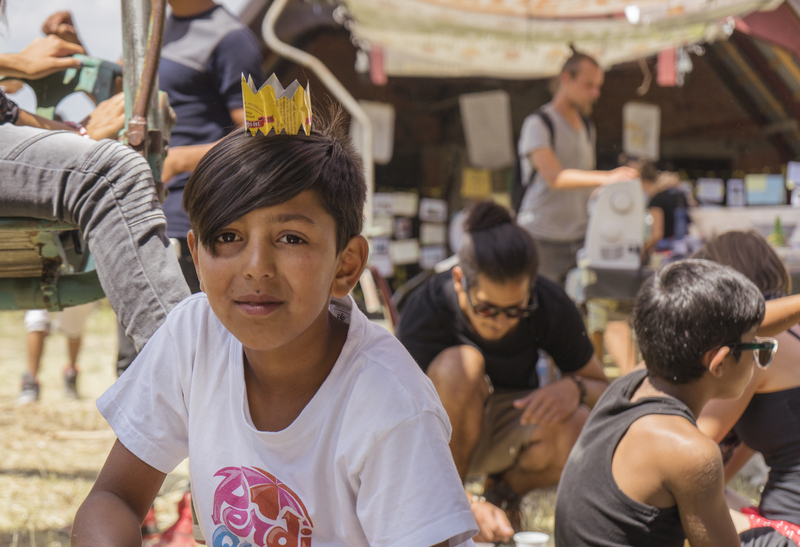 Leyla and 17 other young people from around Europe joined a short-term EVS “All colours of Sharr mountain”, part of Thinking like a mountain… project, financially supported by Erasmus+ programme of the EU.